The musical is great entertainment, and though I wouldn’t recommend it as a reliable source for accurate history or doctrine, this particular song touches on a profound truth when Joseph takes comfort in the Lord’s promise of land. As we examine God’s covenants, we necessarily must start with the idea of a promised land. So let’s start at the very beginning. When God introduced Adam and Eve into this world, He gave them a place to dwell for their sojourn here—a home that would provide the essentials of life, and therefore, temporal security. It was God’s intent to give Adam and his posterity dominion, or the right to possess, this earth as their inheritance. 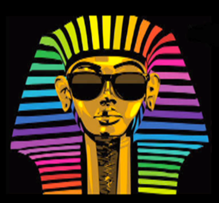 (Moses 2:26) Adam stood as the patriarchal head of the human family, and therefore the possessor of this covenant from God—including dominion over the earth. The covenant of land became so identified with Adam that the Hebrew word for land is “adamah,” which is derived from Adam’s name. When Cain committed the first murder, he lost the right to inherit God’s covenant, and therefore the dominion over the earth promised to Adam. As a result, rather than being tied to a land where he could safely dwell, he was instead cursed to be a “fugitive and a vagabond” without any permanent right to land he could call his own. This loss of a homeland is the extent of Cain’s recorded curse, and is also the beginning of a sort of shorthand used in scripture to express the covenant. Whenever you encounter a promised land in scripture, you are looking at a covenant between God and man. If the covenant is broken, right to the land is lost, as it was to Cain. It’s important to recognize that references to a land of promise generally refer not only to land, but to the full extent of God’s promises. Like I said, shorthand. We’ll see many examples of this usage as we study pertinent scripture. But first, we have to ask why. The Father promises land to those with whom He covenants. Land is vital because it is the source of food, community and stability. If God promises you a land that cannot be taken away, it means you and your posterity will always have a place to live, and a way to make a living. It means the improvements you make to the land will benefit your family’s future generations. Land provides current and future temporal security for the recipient and any posterity that also choose to honor the covenant. It is a home. It is the anchor for a family and a community. It is identity and standing. Land is life. Likewise, land has always been equated with wealth. Wars have been, and continue to be, fought over seemingly insignificant patches of dirt. Hundreds of millions, perhaps billions, have died in land disputes, both local and international. World wars have raged over invasions and incursions into land claimed by others. The current situation in the Middle East ultimately comes down to a land dispute between major religions that venerate, and claim right to, the same piece of land. Though we seldom think about it, without a land to call your own, you are homeless, separated from God in this lone and dreary world, a stranger and foreigner wherever you go—having been dispossessed of your prior home, cast out of God’s presence by the fall, and abiding here only as an alien, rather than a citizen. The beginning of the restoration to God’s presence includes God reversing your unfortunate condition by giving you a home. This in contrast to how men treat each other with respect to land. In general, under our current system, land ownership is bought and sold at tremendous prices, most often requiring a lifetime of work to pay for the land and its improvements. We trade our very lives for lands, and enslave those who wish to obtain legal title to what is ultimately God’s to give. Such a system, though allowed at this moment, will eventually come to an end. The journey of a people back to God’s presence, and the establishment of a holy city where God can dwell, all begin with a God-given, promised land. This pattern is clear throughout scriptural history. Are you starting to see a pattern here? When God offers a covenant, the first promise is a land to call home. This is such an important part of the covenant that it became the promise repeated for hundreds of years among Lehi’s descendants. 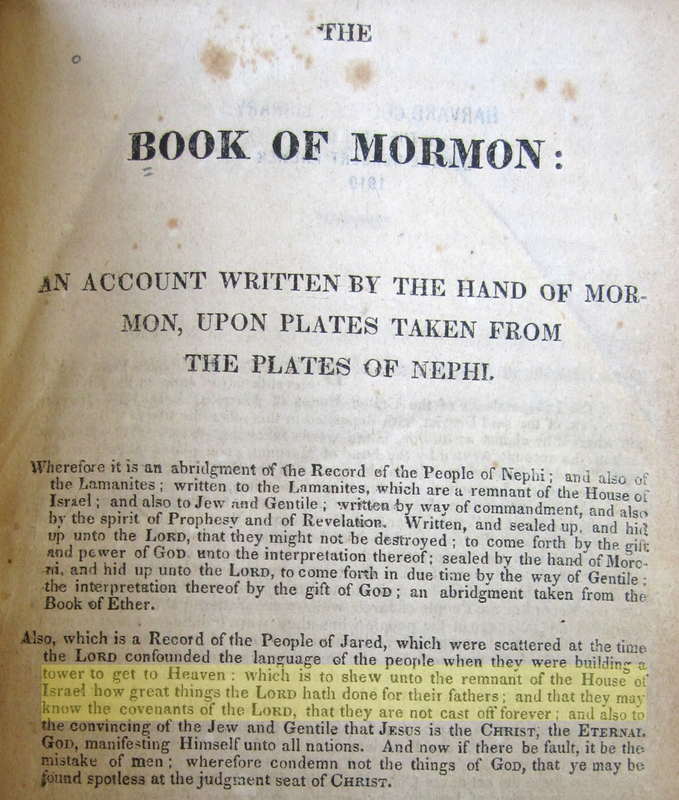 How many times in the Book of Mormon do you find some variation of the following statement? Notice that every time the promise is repeated, it is not just about prospering, but specifically about prospering “in the land.” It is a reminder of both the covenant, and of the obedience required to obtain the promised blessings, including the right to the promised land. Ultimately, it is a reminder that sanctification of a people will bring sanctification of the land, and the return to a paradisiacal state in which the earth can again “bring forth in its strength” (D&C 59:3) so the people may indeed prosper in the land. It is the return to Eden and the presence of God. Obtaining the land-right as part of the covenant is so pivotal that it even becomes an indication of who has received the covenant and who has not. As an example, take a look at how Lehi addressed his two youngest sons before he died. Remember, these are the two sons born to Lehi after he had left Jerusalem, and after he had been promised a new land. We should also pause to notice their names—Jacob and Joseph—both named after Lehi’s covenant fathers. Notice the affirmative statement that Jacob “shall” dwell safely with Nephi, who had covenant right to the land (1 Nephi 2:20). 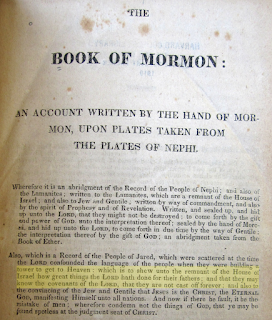 This affirmative statement indicates that Jacob, though young, had already received his own covenant with God—which should not surprise us, as Lehi notes, “And thou hast beheld in thy youth his glory; wherefore, thou art blessed even as they unto whom he shall minister in the flesh.” (v. 4) Jacob had seen the Lord and received the same blessings as those who would later receive His ministry at Bountiful. Jacob had a covenant. The differences in Lehi’s statements plainly reveal who had a covenant with God and who did not. The right to the land proves it. We could drive home the point by examining Lehi’s statements to his other sons, but the point is made and we need to keep forging ahead. The outline of God’s plan to honor His covenants and restore the production of good fruit is shown us in Jacob 5. Perhaps the most poignant scene in this powerful chapter is the moment when the Lord of the vineyard, having done all he could for his failing trees, sits and weeps, lamenting his failure. Though there had been other failures in other locations, the Lord’s overwhelming sorrow ultimately resulted from the failure of those in the promised land—a land the Lord described as “a good spot of ground; yea, even that which was choice unto me above all other parts of the land of my vineyard.” (v. 43) This was the failure of those tied by covenant to the promised land. This was a rejection of the Lord’s covenant. And though the covenants (roots) remained intact, nobody was interested in receiving what was offered. Not only the Jews, and the House of Israel, but even strangers will be offered the covenant. In the above text, quoted from Isaiah 14, the Hebrew word “ger,” is translated as “strangers,” and the Hebrew word “saphach” is translated as “cleave to.” But given the various meanings of these Hebrew words, and the Lord’s intent to honor His covenant, a better translation would be “and the sojourners shall be joined with them and shall become part of the house of Jacob.” Or in other words, those without right to the land will obtain that right as they come into the house of Israel by covenant. God intends to restore His covenants to a believing people who will rise up and receive what He offers. Part of what He offers is the covenantal right to land—which can and must be used to build a temple, establish a holy city, and gather in all who will come to Zion. God has promised these things will happen, and they most surely will. Understanding the promise and significance of land is the beginning to understanding the coming covenant. Wherefore, let us be faithful to him. And if it so be that we are faithful to him, we shall obtain the land of promise. Thank you. Well done...and helpful. Land, posterity and priesthood. Adrian, thank you for this clear explanation. Very enlightening and hope-giving. While reading your article, something stuck out to me from a scripture that I hadn't before noticed. Is this saying that this covenant includes other migrants to the promised land? Because it does say all...led...by the hand of the Lord. I have ancestors who, according to their journal entries, felt like they were led here from their countries by the hand of the Lord. Does that mean they could be directly included into this covenant? Yes, it appears that all who come, at least to the land Lehi spoke of, are brought by the hand of the Lord and are eligible to receive the covenant, when it is offered. It's up to each individual to decide whether to receive what is offered and obey the terms. In other words, where you live, who your ancestors are, your bloodlines, etc., don't automatically get you anything. You are outside the covenant until you receive it. Without living the Law of Consecration the land means nothing. The economy of the Lord is built on a modular system such as a stake. A world Church is an abomination in Israel. An income tithe to a central treasury is not one's interest or net worth to his or her community. It's easy to read the tea leaves: a collision course is set with the federal government. The feds own vast expanses of land in the west (see https://www.nytimes.com/2016/01/06/upshot/why-the-government-owns-so-much-land-in-the-west.html). Legal right to land for a temple could be easily obtained through the usual means. But land for an entire self-sufficient city? That's another story. Cliven Bundy and his sons made a heroic and historic stand for grazing and water rights in Nevada. The media ridiculed them, and the feds abused them but the feds eventually stood down only because hundreds of armed and unarmed patriots showed up as a show of "strength in numbers" to make it a PR disaster for the criminal, rogue fed agents intent to displace them as they did all others in the past. The feds continue to terrorize this good family as they have been falsely arrested and await their trial. The LDS Church has, tellingly, offered no moral support whatsoever. So when you talk of land being promised by God, and people beginning to inhabit that land, the collision course is irrevocably set. The feds mean business. They've stolen land from "we the people" for decades and have no intention of giving up one square foot. And when not if an attempt at Zion is made (even on an Indian reservation), the feds will be immediately begin conspiring on how to depict the people as crazy religious zealots, and how to steal their property, just as the Lamanite king plotted to enslave and steal land from Zeniff/ Limhi. Interestingly, Zeniff, no doubt heavily influenced by one of the grandsons of Lehi/ Jacob (both of whom had received the covenant directly from the Lord), Abinadi (who was the brother in my opinion of Amaleki (and great grandson on record), was leading a band of people on a deeply spiritual pilgrimage to "re-inherit" the covenant land of their forefathers and to reclaim Nephi's temple which had fallen into the hands of their enemies. The pull to reclaim their spiritual roots was obviously powerful and they were willing to die for it. Their history shows many thousands of their brethren did die as they found themselves deceived and betrayed by the government (King of Lamanites). In the a near future day when a city of Zion begins to sprout up, the propaganda of the MSM would be utterly merciless. The "Branch Davidians" is what the media may call a gathering of "disaffected Mormons" led by a modern-day David (Denver). Will we believe, when the feds have their guns pointed at us, in the promises of not "being moved out of our place"? DC 124:45 says, "And if my people will hearken unto my voice, and unto the voice of my servants whom I have appointed to lead my people, behold, verily I say unto you, they shall not be moved out of their place." This will be a test. This is shaping up to be a big test. Faith in Christ, and trusting in His servant would take on a whole new meaning, and be on a very personal level, even that our lives and freedom would be at stake. An epic battle is being set up between "a fanatical Mormon offshoot sect" (as the MSM would label us) and the federal government, which will make the Bundy case pale by comparison. The showdown with the feds could be potentially avoided IF the federal gov't was overthrown, and 3 Nephi 7:1-2 makes that case. That could very well be possible if not likely. There could be an EMP strike that could hasten the destruction of the criminal elements of the federal gov't and throw the country into chaos or a state of anarchy, where there was a situation like, this (v. 3): "And every tribe did appoint a chief or a leader over them; and thus they became tribes and leaders of tribes." This time of anarchy may be the time in which God gathers a remnant, by angels and His own voice, because He can do His own work, as He says time and again. Either way, there's no escaping the reality that any "legal right to land" will be challenged by a corrupt government who doesn't take kindly to a people seeking Liberty under God. A fight is sure to come. That's where this is leading. The words are comforting, "For behold, I do not require at their hands to fight the battles of Zion; for, as I said in a former commandment, even so will I fulfil—I will fight your battles" (DC 105:14). And it is no coincidence that the Lord adds this comment immediately AFTER discussing this covenant day we are now entering when He will be promising land to the House of Israel, "No weapon that is formed against thee shall prosper; and every tongue that shall revile against thee in judgment thou shalt condemn. This is the heritage of the servants of the Lord, and their righteousness is of me, saith the Lord" (3 Nephi 22:17). Though I can certainly see things playing out the way you describe here, I believe there are other possibilities that don't involve armed conflict or even the nasty attacks of the media. One thing is certain: this will not all play out as we expect. We have a very limited viewpoint from which to form our expectations, and the Lord may have different plans entirely. He has many tools at his disposal that we may not even consider in our calculations. Of course, the intent is to purchase and legally own the land so there is no other earthly claim upon it, just as the Lord required the early saints to purchase lands legally. If it ever comes to the point of federal government opposition or land seizure, that will be the Lord's battle to fight. And I give Him pretty good odds of winning. Maybe I misunderstood Underdog, but I don't think he was encouraging anyone to be armed to fight the federal government or anyone else. I think he was just warning that those threats could be made against covenant people and those people will need faith to allow the Lord to fight on their behalf (and not take up arms themselves). I think 1 Nephi 13:16-20 is good evidence of these things. But as Adrian said, we don't really know what to expect. In my opinion, it is not having the promise of A land of inheritance that begins our journey back to God, but when we do those things, which God would have us do, we are given an inheritance. Adam, was given a land of bounty, and they left it, because of the fall. The land they came to, was not a land of milk and honey, but a land where they would eat by the sweat of their brow, till the earth, etc., seek God, and then be returned to that which they had previously lost. It is the same for all of us. We will not receive an inheritance until we have returned to God. Until we have made Him our King. At the same time that the Lord gives land to anyone, He also promises them a posterity as the sands of the sea. In my thinking, this also means Kingship. This goes along with when Christ comes and the Kings of this earth, crown Him King of Kings and they give their inheritance to the King of Kings, that He may be ruler over all. The inheritances are not to be forever, Christ will be King and Lord over all the Earth. Those who receive inheritances on this earth, will submit all to Him, for He is their King, Lord, God, Father. The symbol of inheritance and posterity as numerous as the sands of the sea, do not denote the promises given on this earth, but the promises which are to come. The inheritance of worlds without end. This is why, IMO, this needs to be given personally, and why bringing our children and those we love to God, is so important. We want them to receive Worlds without end. We want our posterity to be in the Celestial Kingdom, to be Kings and Queens, Priests and Priestesses, this is what Christ has, and continues to do. This is why He is our Savior, because without Him, we would not be able to receive those things. This is also why the possibility of Joseph Smith sealing people to him, was not a small thing. This is also why some the most great and noble of heaven, have condescended to this earth. To help their eternal posterity to return to Christ, and be numbered among His children, to become King and Queens to the Most High God. This is why inheritance is not something to trifle with. If God gives someone an inheritance, it is because of their faithfulness and obedience to God. God will not give an inheritance until He has proven you. "For if the inheritance is of the law, then it is no more of promise; but God gave it to Abraham by promise." This principle is confirmed in your blog post; we are seeking for the blessings/promises/covenants of the fathers. If we do not receive a covenant to this land, then it may be deeded to those who would receive such a covenant (as happened to the Jaredites and the Nephites). Joseph's letter to his uncle Silas has interesting parallels as well. We must each (as well as a group) rise up and receive these covenants. I find it extremely interesting that the promise of land is an integral part of God's covenant. We should then expect Satan to mimic what God does, shouldn't we? After all, God creates and Satan imitates. And so this is the very case indeed! We see the actual wording of Satan's covenant in Moses 5. Info approaching this type of esoteric knowledge was expressly forbidden by Alma to Helaman, if you will recall. But we see a glimpse in Moses 5.
v. 29-30: “And Satan said unto Cain: Swear unto me by thy throat, and if thou tell it thou shalt die; and swear thy brethren by their heads, and by the living God, that they tell it not; for if they tell it, they shall surely die; and this that thy father may not know it; and this day I will deliver thy brother Abel into thine hands. And Satan sware unto Cain that he would do according to his commands. And all these things were done in secret.” Many others made the covenant with Satan (see v. 49 & 52). Physical death is a heavy penalty for breaking the covenant. So what's in it for those who make the covenant with the devil? What is the alluring promise of Satan to those who covenant with him? Land! Property! What do you know! Moses 5:31: "And Cain said: Truly I am Mahan, the master of this great secret, that I may murder and get gain. Wherefore Cain was called Master Mahan, and he gloried in his wickedness." complex and run everything his way. We see him putting his plan into operation when he lays legal claim to the whole earth as his estate, accusing others of trespass, but putting everything up for sale to anyone who has the money. “And how will they get the money? By going to work for him. He not only offers employment but a course of instruction in how the whole thing works, teaching the ultimate secret: "That great secret" (Moses 5:49-50) of converting life into property. Cain got the degree of Master Mahan, tried the system out on his brother, and gloried in its brilliant success, declaring that at last he could be free, as only property makes free, and that Abel had been a loser in a free competition. “The discipline was handed down through Lamech and finally became the pattern of the world's economy (Moses 5:55-56).... Cain slew "his brother Abel for the sake of getting gain" (Moses 5:50)— not in a fit of pique but by careful business planning, "by the conspiracy" (D&C 84:16). The great secret he learned from Satan was the art of converting life into property—all life, even eternal life! The exchange of eternal life for worldly success is in fact the essence of the classic Pact with the Devil..."
There is a big difference as far as periods (amount) of time in which God grants land and when Satan grants land/ property to those who covenant with each respectively. For Satan, he's been open for business since the days of Cain, and down to the present time. Those who covenant with Satan (the Elite, the Bilderbergs, the Illuminati, the modern Gadianton robbers) own and control the world, excepting what they don't see as valuable. For God however, the instances of Him announcing a covenant are finite and limited, it seems to me. You think of Adam, Abraham, Isaac and Jacob, Moses, then the Brother of Jared, and Lehi. You see Joseph Smith appear and the beginning of something big about to happen, but he was murdered with his brother, the patriarch, and the saints got moved out of their place and got themselves under condemnation. Until the present time, where we are almost at the beginning of one of the most significant events in human history, when David/Denver will oversee the announcement of God's new and everlasting covenant, which will involve a land of inheritance. I would expect those who have covenanted with Satan to not stand by idly if/ when they discover God has covenanted land to the House of Israel. These two forces must collide eventually. Adrian says above, "I believe there are other possibilities that don't involve armed conflict or even the nasty attacks of the media. One thing is certain: this will not all play out as we expect." It is such a blessing to at least know God is setting His hand again to recover the House of Israel, and that the very subject of "covenant" has been restored to our conversation, whereas it had essentially been forgotten. "and the strangers shall be joined with them, and they shall cleave to the house of Jacob." A movie came out the day before this blog post was published. It's called "Alien: Covenant." One definition for "alien" is "a foreigner, especially one who is not a naturalized citizen of the country where they are living." In other words, an alien is a stranger. 3 Nephi 21:11: Therefore it shall come to pass that whosoever will not believe in my words, who am Jesus Christ, which the Father shall cause Denver/David to bring forth unto the Gentiles, and shall give unto him power that he shall bring them forth unto the Gentiles, (it shall be done even as Moses said) they shall be cut off from among my people who are of the covenant. The next 10 verses describe conflict (with God actively involved and winning) culminating with v. 21, "And I will execute vengeance and fury upon them, even as upon the heathen, such as they have not heard." It seems to me like this prophecy was written with Denver in mind. What do you suppose vs 10 is saying? V. 10: "But behold, the life of my servant shall be in my hand; therefore they shall not hurt him, although he shall be marred because of them. Yet I will heal him, for I will show unto them that my wisdom is greater than the cunning of the devil." The servant may have an assassination attempt on his life? But God will heal him. I would think it will be apparent AFTER he almost dies and after his healing by God. A better interpretation may be that, since he won't be hurt, the "marring" refers to his reputation being destroyed? And the healing would be the restoration of his reputation as the actual Davidic servant, which will eventually become undeniable.